Today we read Dr.Suess ” The Foot Book ” and did some activities to go along with it. 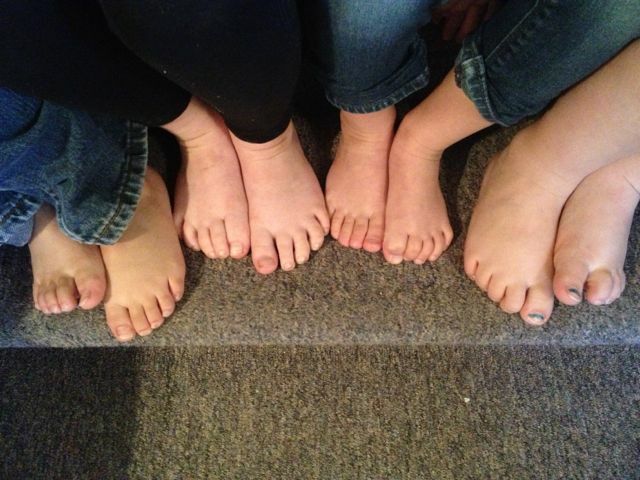 First we painted all our feet ( thats 32 feet ) and all our toes ( thats 160 toes ) and made foot prints on paper. Any teacher that helps this many kids paint , print and wash this many piggies deserves points for exercise for the day. All that bending over was quite the experience. Be glad you werent here to watch it. After the prints dried we made a book with them. One each child’s footprint page I wrote _______ would go to ________. We had some great answers like Pizza Hut, the animal shelter and Walmart ! We also played a game with our shoes. It was actually a race. 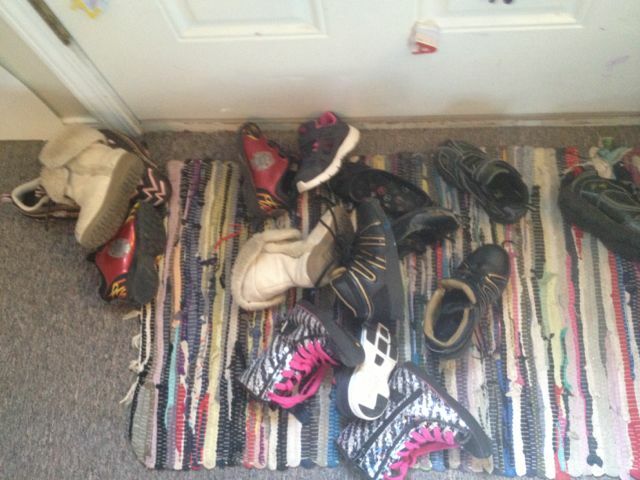 We had two teams and we mixed our shoes up and raced to match the shoes and put them on. The kids love races. There is a lot of theory out there that kids shouldn’t play competitive games with winners and losers at an early age. The jury is still out for me on that issue. I think a healthy competitive spirit can be good and also build resiliency in children which is much needed in our generation. I think the competition can be turned negative by parents or peers by taunting but it can also be used as a tool to teach. You can teach the character traits of humility . You can teach pride for friends accomplishments. There are lessons to be learned in winning and losing and the reality of the world is that we are not all ” winners” in everything we do.